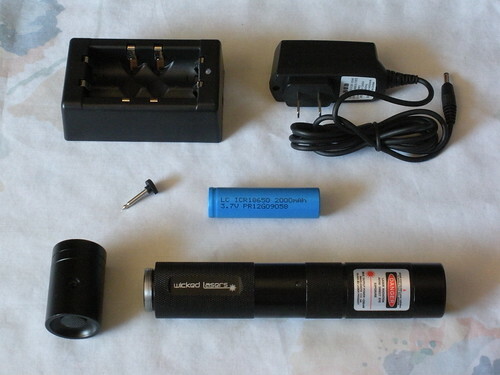 This is my Wicked Lasers 200 mW "Spyder I Pro" laser, along with the accessories that were included. Update: I have replaced the original photo; this new version corrects some distortion problems and shows more detail. You can also now see the tail cap switch, which was not visible in the previous version.